More than 70,000 women were on duty by the time the Navy celebrated the WAVES 2nd anniversary on July 30, 1944. 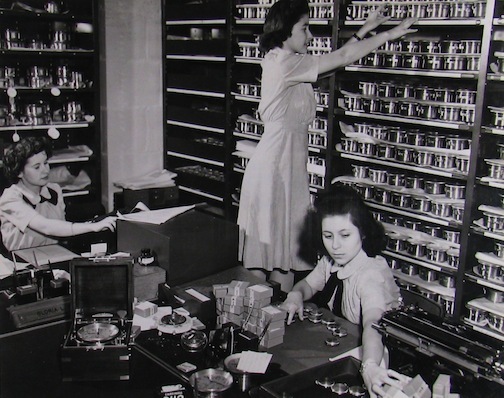 That included Evelyn Agrelius, Helen Tullose and Lucille Davis, who are checking and segregating horological instruments for the fleet at the Naval Observatory in Washington, DC. The photo comes from the National Archives and was published to coincide with the WAVES 2nd anniversary.